Comment: Want to replace all of the windows on my duplex. Comment: I HAVE AN EXISTING COVERED PAGIO THAT IS APPROXIMETELY 8 FEET BY 14 FEET (MAY BE A BIT LONGER) THAT I WOULD LIKE TO GET SCREENED IN AS SOON AS I CAN GET HOA APPROVAL..
West Columbia Window Replacement Companies are rated 4.52 out of 5 based on 286 reviews of 10 pros. 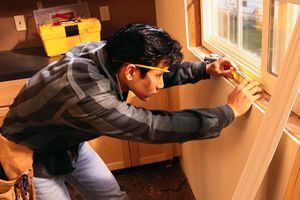 Not Looking for Windows Contractors in West Columbia, SC?